I love it when a piece of clothing is pretty much a whole outfit by itself. 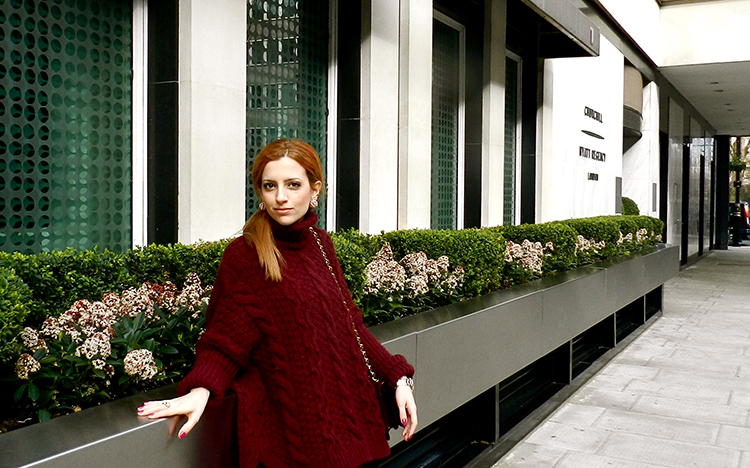 Here I am strolling the streets of Mayfair, heading to the Breakfast Club in an enormous sweater I got last fall, which could easily have been couch-wear and I couldn't feel more street-chic! Some credit to this surprisingly well matching Chanel bag (one of those I-can't-believe-its-exactly-the-same-colour moments) and the 20s style earrings I picked off a stall at a vintage market in a dodgy London area. I should probably mention the cut-out wedges somewhere here but my love for anything cut-out deserves a whole post to itself! I like the shade of nail varnish and those pretty earrings with the jumper - a good combination. Thanks so much for stopping by sweetie, you have a lovely blog! Would you like to follow each other? teleio gousto kai polu wraio style! den exw logia gia thn tsanta kai ta papoutsia!to oversized poulover sou kanei to ntusimo akomh pio teleio! tha thela polu na akolou8hsoume h mia thn allh an to thes k esu! P.S. Thanks for stopping by my blog!! thanks a lot for that lia! sweetie you look gorgeous!amazing look love how you muched together the comfy sweater with the skirt and the perfect bag!amazing blog!! !i'd love to follow each other many kisses sweetie!! thanks a lot for your comment! Sure that sounds good! 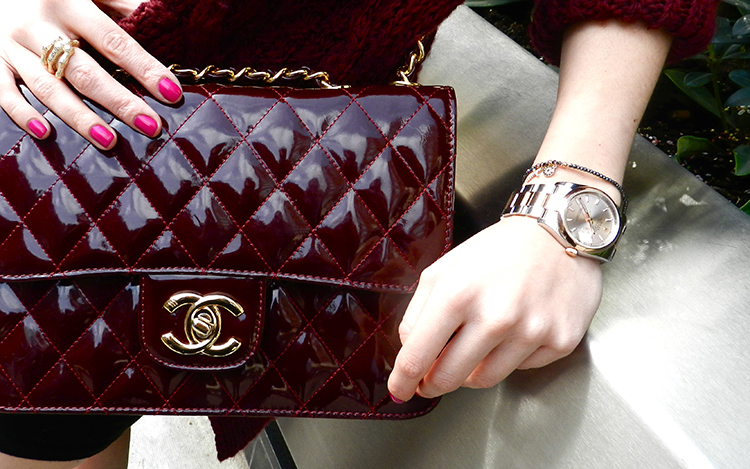 first love your chanel bag and second your gorgeous. your hair is beautiful! thanks a lot for ur lovely comment! That sweater is gorgeous!! As you said... a whole outfit by itself! I love that you've been so stylish from day one! It's fun to look back over older posts of my favorite bloggers to see how they've changed, but you somehow had everything together even when your blog was new. Way to go!